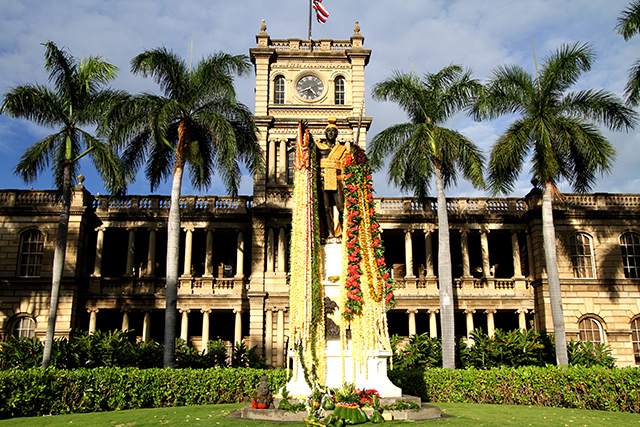 Kamehameha day started in 1871 by Lot Kapuāiwa (Kamehameha Ilima), the great grandson of Kamehameha Ekahi; the great warrior who unified our pa’aina under one la’hui, one vision with peace and justice. 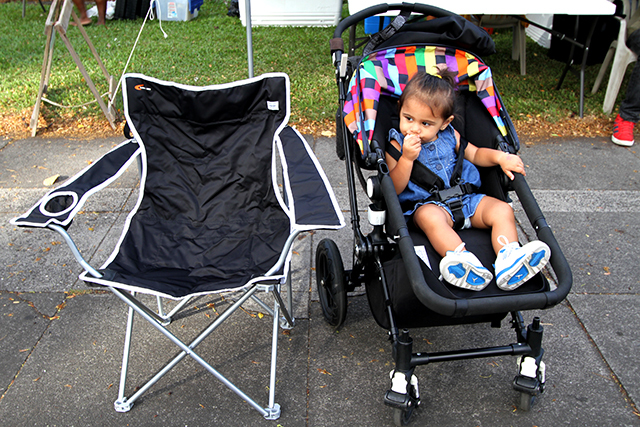 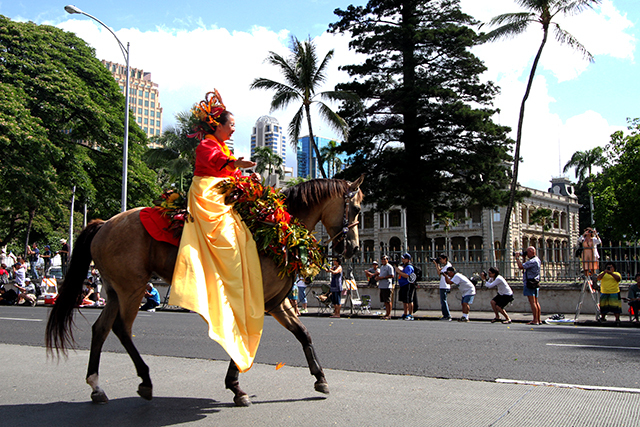 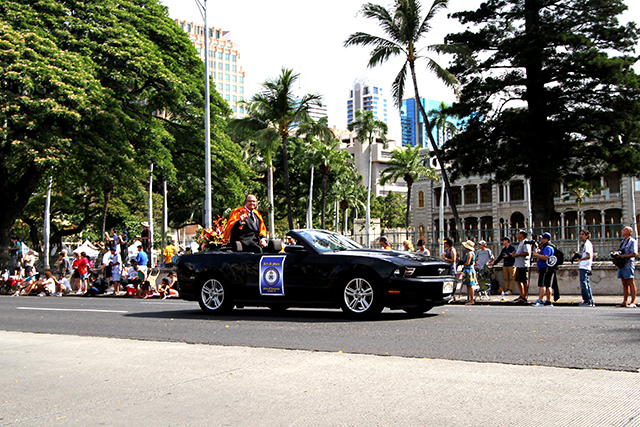 Every year we have parades full of Paʻu riders, performers, lei, and other ceremonial regalia. 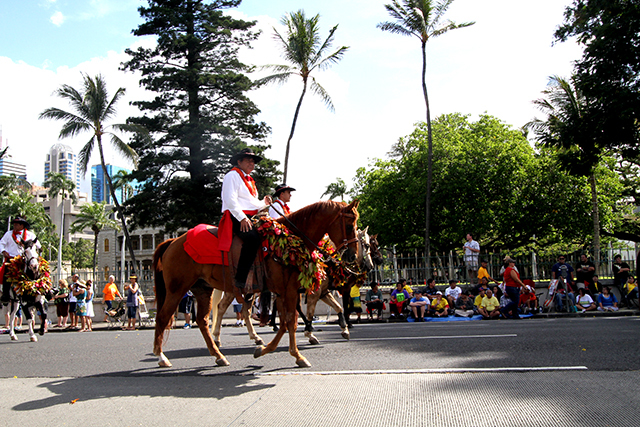 Although through the years the parade lost some of its mana, no longer are anyone riding on horses. 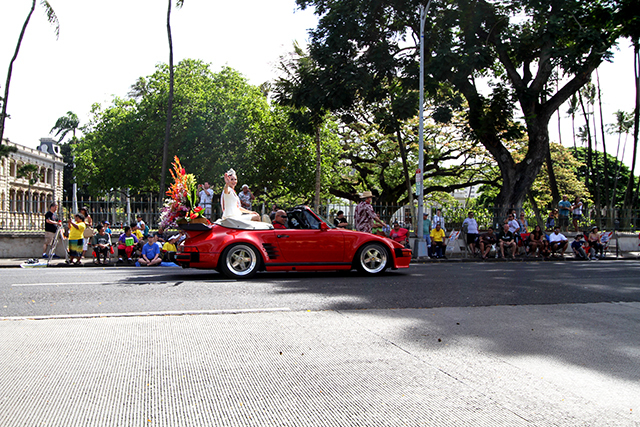 These days, we travel in other horses like Ford Mustangs and 18 wheeler flatbeds. 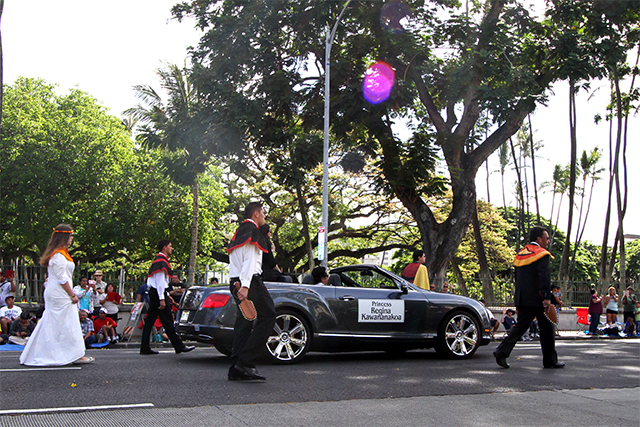 Still, each and everyone in the parade is beaming with pride because to be apart of this nation of Kanaka is special… extremely special. 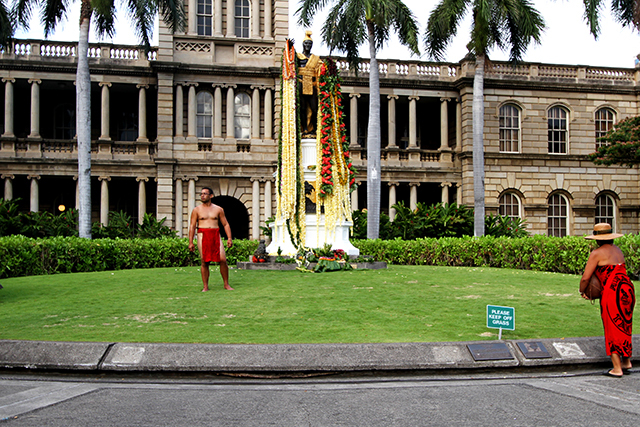 I packed up Banks and set up in front of the Kings Guard tent where some friends were taking care of their kuleana and keeping a watchful eye on the statue. 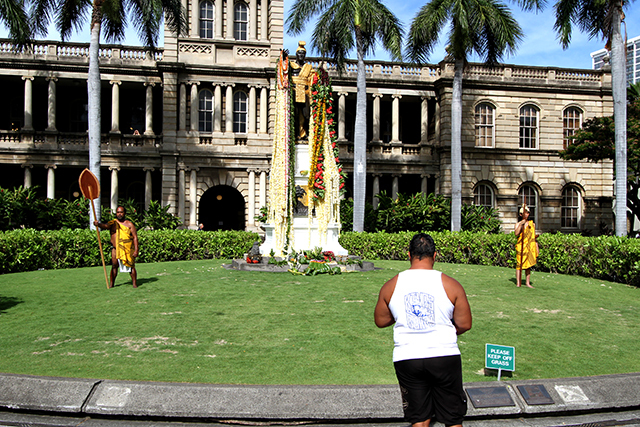 Mahalo to ʻIokapo’o and the entire Kingdom of Hawaii Guards for the Aloha!